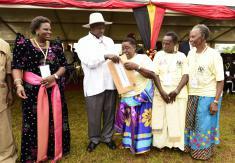 President commissions Kibaale Lands Zonal Office and hands over 254 land titles. 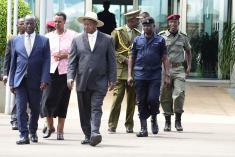 President Yoweri Museveni has called upon the people of Bunyoro Sub-Region to banish tribalism. Uganda and the State of Qatar have today signed four key memoranda of understanding at a function witnessed by the two countries’ leaders in Doha. President Yoweri Kaguta Museveni is in Qatar on a 3-day State visit at the invitation of the Emir of Qatar, Sheikh Tamim bin Hamad Al Thani. 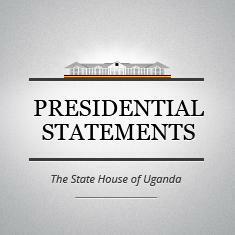 The President, is accompanied by the 1st Lady and Minister of Education and Sports, Hon. Janet K. Museveni. 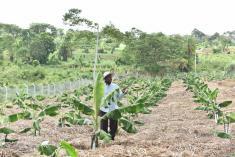 President Yoweri Kaguta Museveni took a group of journalists on a tour of Kawumu Presidential Farm in Makulubita Sub-county, Luweero District.